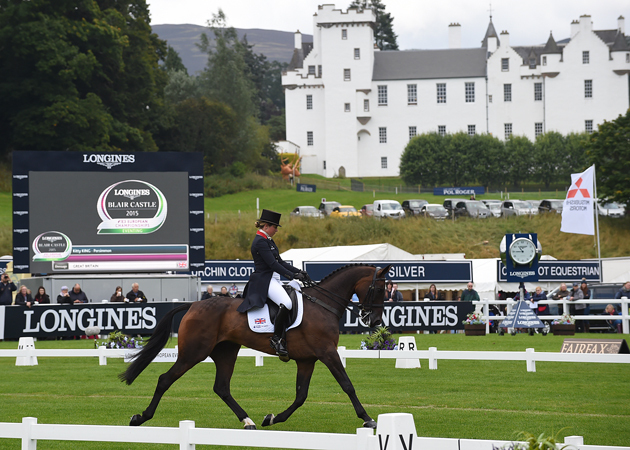 Find out how Britain’s riders performed on the first day of dressage (Thursday, 10 September) at the Longines FEI European Eventing Championships at Blair Castle. 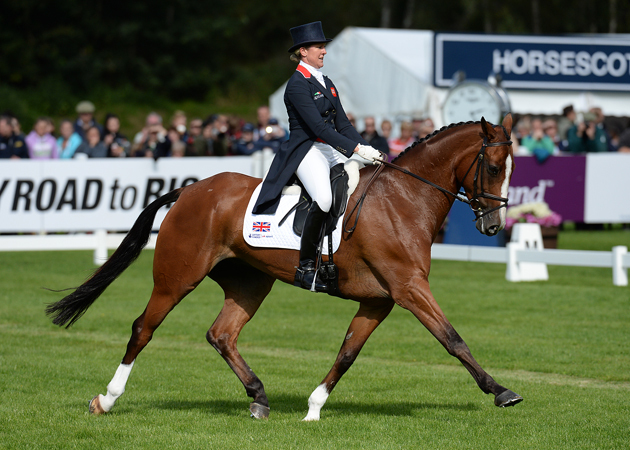 “I’m not normally nervous before the dressage, but I definitely felt the butterflies this morning,” said Kitty. “He can be tricky and you never know what day he’s going to do it, but he couldn’t have performed better today. “I was worried the atmosphere would make him tense, but he let me ride him. He just got a bit tight before one flying change and missed it, which was a shame — we had issues with it earlier in the week and they came back to haunt us. “I spend my life managing his tension,” said Gemma. “He’s quite established in his work now, which has only really happened this year, so it’s a case of managing his mind. He’s genuinely nervous and scared, there’s nothing naughty about him. You have to keep his confidence and persuade him it’s not that scary. “I was disappointed he didn’t walk at all as that will have lost us a lot of marks. Normally he’s really good at the walk and the pirouettes, but he didn’t do them at all today as he was too tense. “I’m chuffed with her, although it’s a shame there was a bit of tension in the walk. 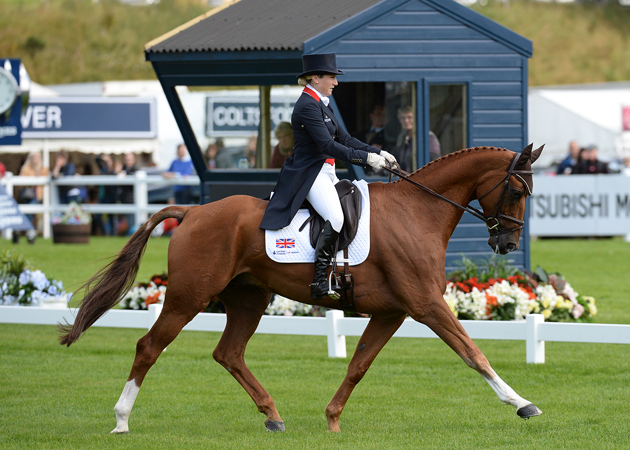 But she’s arrived here and practically gone straight in arena, so I’m over the moon with her,” said Sarah, who only came off the reserve bench on Wednesday morning when Dani Evans’ horse Smart Time wasn’t quite himself. 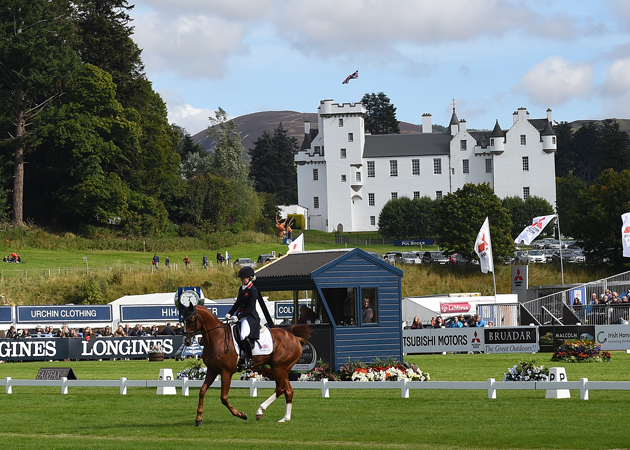 Sarah drove up to Blair overnight on Tuesday, expecting to wait around until shortly before the trot-up, the last point at which a substitution can be made, and then drive home again. “I’ve waited 20 odd years for this and to get my flag is fantastic. It’s been a total whirlwind and an emotional few days. It’s a shame my gain comes because of someone else’s misfortune, but Dani’s been the ultimate professional and her time will come. 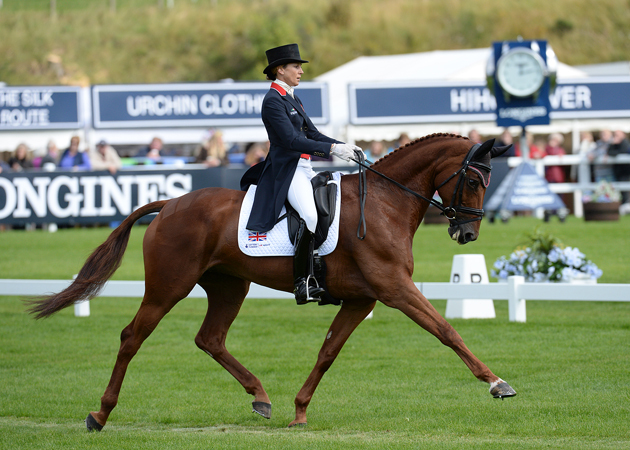 “All I could remember as I cantered in was the test we did at Aachen [last month] and trying to do the same,” said Holly. “The last words I actually heard were from my groom, Alex van Tuyll, who said to go nail it. 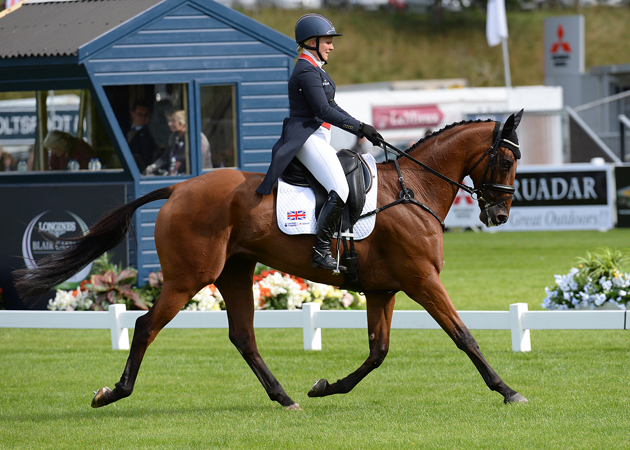 “He tried really hard in there — it’s his best test yet so he’s chosen the right time to do it,” said Laura, who took over the ride on “Milo” from Nick Gauntlett last year. “He’s been on cracking form all year, getting better and better, so it’s nice it came off at the right time. He’s an amazing horse and we’re starting to gel and getting our relationship together. “I’m delighted with him,” said Nicola. “He’s such a talented horse, but he can be a bit cheeky. But over the past six weeks he’s been getting better and better. He’s been working really well at home so it was good to be able to show that. He was lovely to ride today and I’m so proud of him. Full report from the European Championships at Blair in H&H next week, out Thursday, 17 September — 19 pages of analysis and photographs, plus columns from Harry Meade and Mike Etherington-Smith.